mosquito nets, fire pit, a billion shimmering stars. 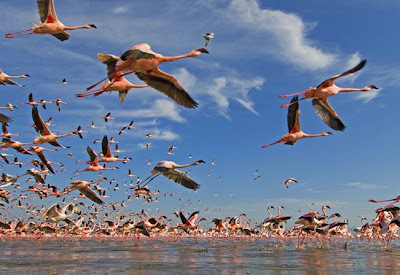 swarms of flamingos fly ovhead, on their way to the lake. painting the sky peach and pink and fuchsia and red. adventure is what she'll wish for instead.